When it comes to holidays, everybody knows that there is a huge arrangement list so nothing is forgotten and everything is going to be smooth and you finally may taste the best holidays ever without any “surprises”. You need a hotel, information about the place you are going to visit, maps, transfer from the airport or the port to your accommodation, and a car or a motorbike to explore a brand new place for you. 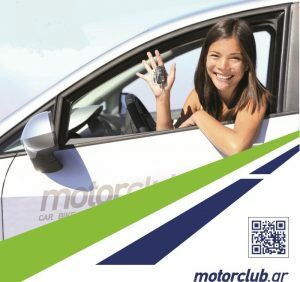 This is the exact point that Motor Club fits your requirements. Motor Club is not just one more local rental company. We have solutions to offer. You name it and we try to give you the best. We are in business in Crete for more than 30 years, so you may rely on us. Are you a lonely driver and you just hate driving a car? We give you the freedom that a motorbike can make you feel. Always with a helmet, because safety counts, and many extras you may think. Are you coming with your mate and you need just a little car to go around? You may choose any car from our fleet that meets your needs. Small cars well reserved, with little fuel consumption, is just what you need. Do you have a bigger family and you need a bigger car? Great 5 seated cars are waiting for you. Baby seats and boosters are available for your children.Perfect nonsmoker clean cars, perfectly reserved, ready to be used for your vacations. Is something bothering you? We are just one phone call away. Are you bored and you need extra information where to go? We are always at your disposal, to offer you low-cost excursion packages, by car. by bus, or even by ship. For the most adventurous, we organize enduro safari and quad safari excursions. A wide range of holiday solutions is waiting to be served to you. You are just a question away!